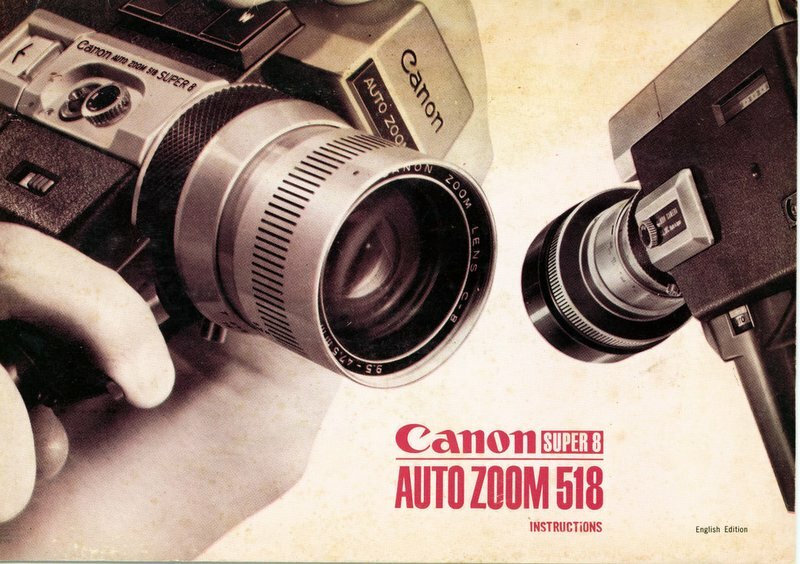 View the entire Canon Auto Zoom 518 Instruction Manual or download it here (1.9 MB zip file) and also see the instructions for the accessory Canon Wide-Converter and Tele-Converter for Canon 518. Sharp and fast F1.8 5-times soom lens with zooming range of 9.5-47.5mm. Extendable to 15.6-78mm with Tele-COnverter.